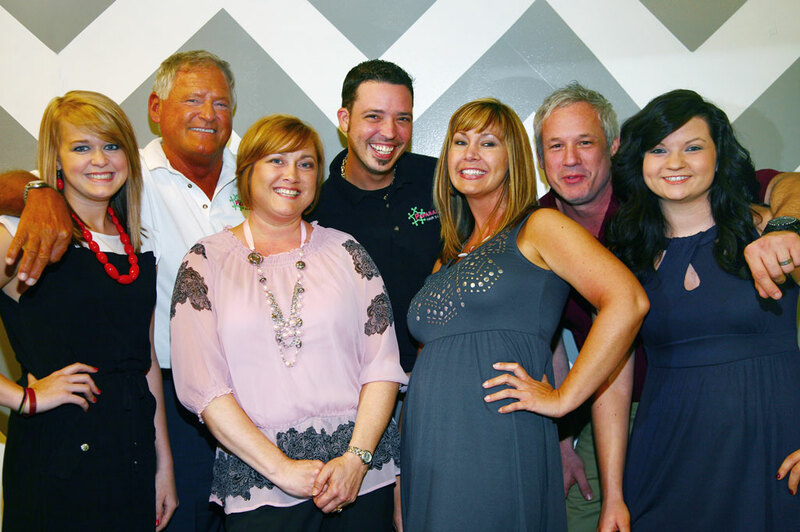 Having worked at one of the oldest salons in Winston-Salem for many years, Bobbie desired to cultivate that same environment in her own salon. She wanted to create an environment where everyone works together and helps each other; a place where every guest feels like family, but is treated like a celebrity as soon as they walk in the door. In addition to all types of hair styling, the salon offers manicures and pedicures and sells Paparazzi jewelry and Motives makeup. Paparazzi’s professional stylists work hard to ensure that each client’s wishes are met and that they leave feeling “camera ready.” Guests may even choose to have their new look captured in a photograph in front of the “Paparazzi wall” and then featured on the salon’s Facebook page. This fun environment is based on the philosophy that when you look great, you feel great – and there is no shame in being pampered! 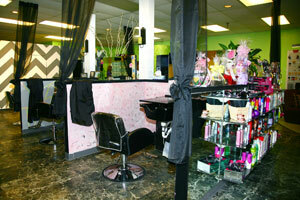 Visit Bobbie’s salon and you’ll notice a television screen in the corner with repeating commercials that showcase clients’ business information. This is one unique way that Paparazzi Salon says “thank you” to its loyal customers. In addition, the salon also serves as a venue for direct sales events featuring products such as doTERRA and Origami Owl. These efforts help fulfill their vision to be a business which values partnership and mutual support of business endeavors. 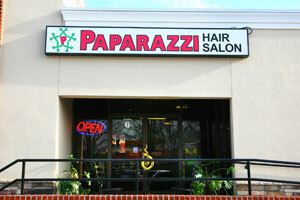 It is Paparazzi Salon’s way to support those who support them. In only six months, one might think a hair salon would barely have its feet wet in terms of community service and collaboration with clients and other businesses – but Paparazzi Salon has jumped right into the deep end. As you are enjoying complimentary wine or hot tea while your highlights set in and your nails dry, feel confident you are supporting a business that is committed to you and your community. And if the connections you make there enable your own business endeavors to succeed, all the better. Learn more at paparazzihairsalon.com and be sure to “like” Paparazzi Hair Salon on Facebook! The grand opening and ribbon cutting will be held on May 14, 2014 at 5pm. Forsyth Magazines writer since 2012. Raised in Mocksville, Meridith now lives in Winston-Salem. She has a bachelor’s degree in psychology and a master’s in public relations. 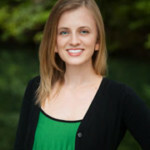 Meridith works for The Winston-Salem Foundation as a donor services officer, helping people with its charitable giving. She’s been married to Will for three years and, together, they have two dogs (Koby and Cassie) and two cats (Chester and Tuna). Meridith enjoys cooking, reading and volunteering. She also loves to travel and has played with a dolphin in Mexico, ridden an elephant in Thailand, watched the Northern lights in Alaska and camped in the California desert. “I love learning about so many community members and business leaders, and getting to know them while creating their stories for the magazine -- it makes me feel more connected to my city,” said Meridith.